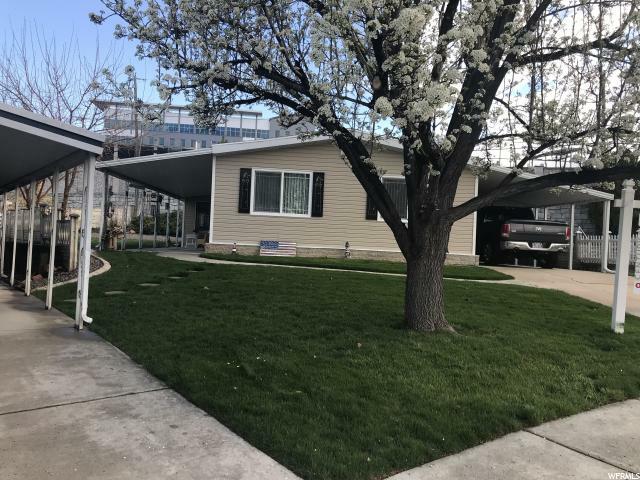 All ALTA VIEW ESTATES homes currently listed for sale in Sandy as of 04/25/2019 are shown below. You can change the search criteria at any time by pressing the 'Change Search' button below. "Come see this BEAUTY in Sandy's cherished ALTA VIEW ESTATES -Over 55 community where you OWN YOUR OWN LAND! This is one of the BEST HOMES to hit the market in years! Nearly everything was rebuilt inside and out in 2015 or later including the Furnace, A/C, Hot Water Heater, Plumbing, Sub-floor, Roof, Siding, & Windows. BEAUTIFUL UPDATES: Kitchen; Master Bath; Flooring; Canned Lighting & Ceiling Fans throughout; Walls that are Sheet Rocked w/Crown Molding & NEST Thermostat. Fireplace is ready for new gas insert (included). And if that's not enough, both bedrooms have walk-in closets! The large secluded yard is partially Xeriscaped. Community is welcoming, pet-friendly ,thriving with activity & has a SUPER LOW HOA fee! Square footage figures are provided as a courtesy estimate only and were obtained from 2015 Appraisal. Buyer is advised to obtain an independent measurement."